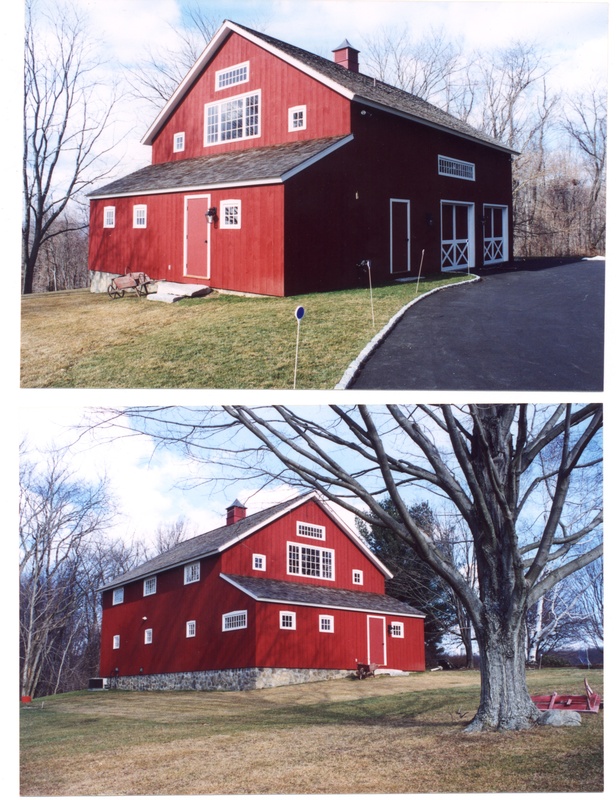 The 30'x 40' footprint of the Purlin Post Barn was a common size for many New England barns of yesteryear. 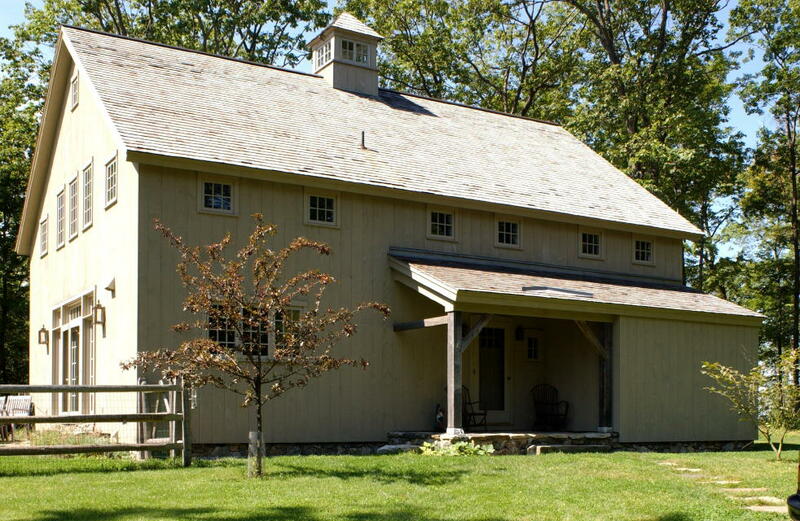 In fact early English style barns in America were sometimes referred to by farmers as "the thirty by forty". 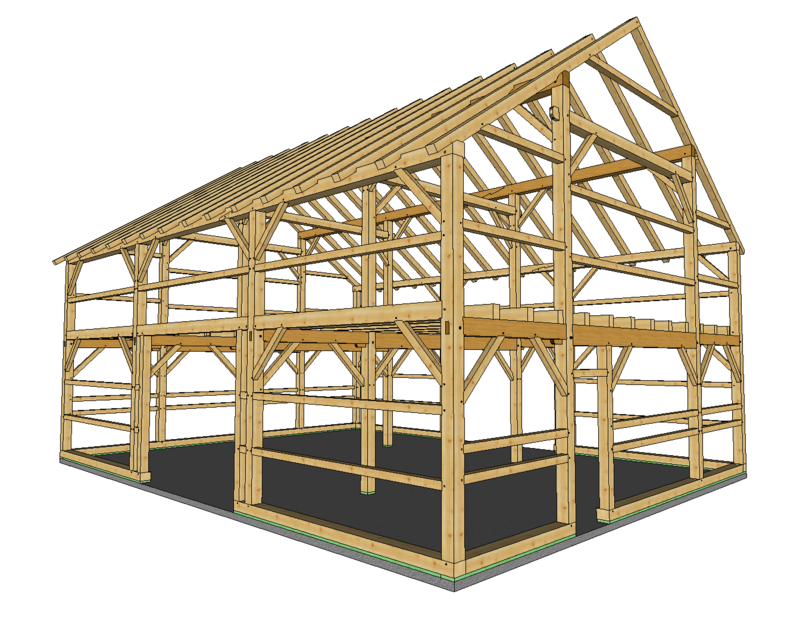 They were typically divided into 3 bays - stables on one side, a hay mow on the other and a threshing floor in the middle. 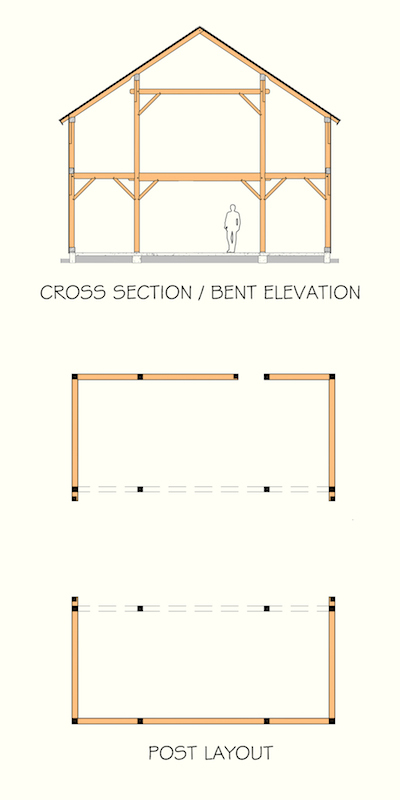 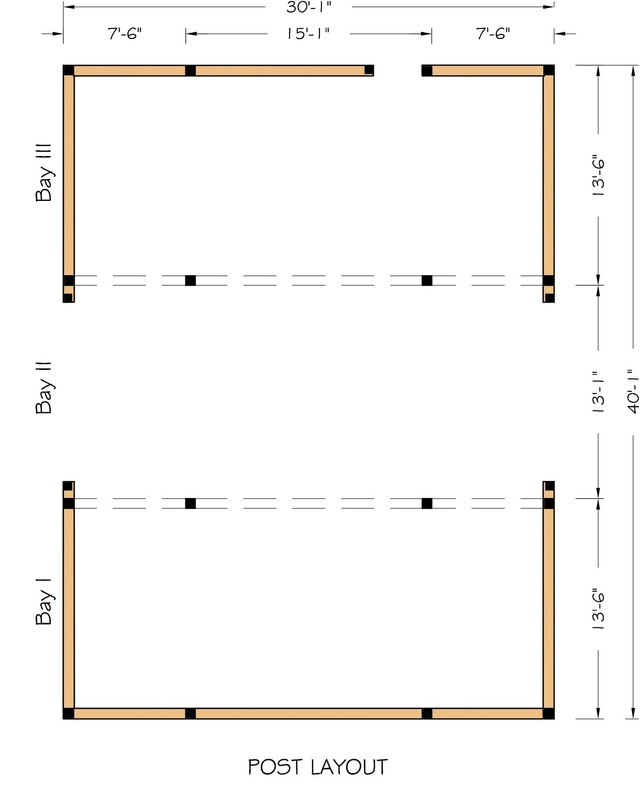 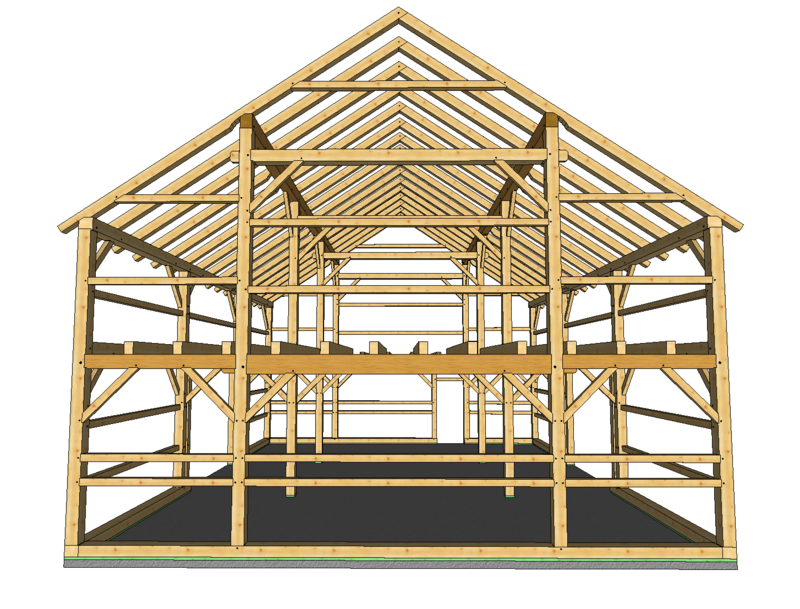 Our "thirty by forty" can be configured in a variety of ways and the continuous interior purlin posts allow us to vary the height of the main girts and the loft floors they carry. 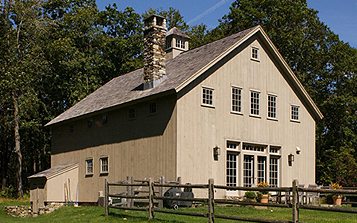 English style barns typically had a pair of large hinged doors on the center bay eave wall but you could easily adapt this design to have large gable-end doors. 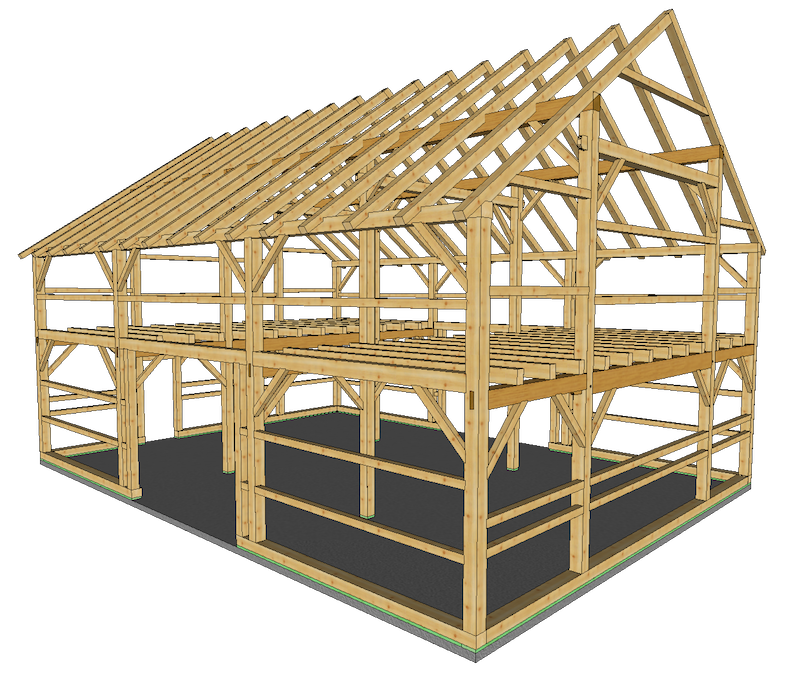 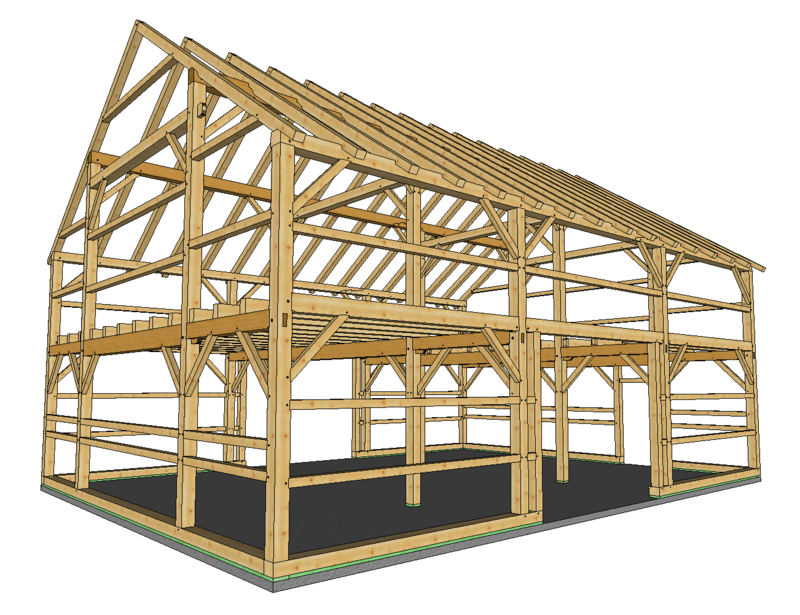 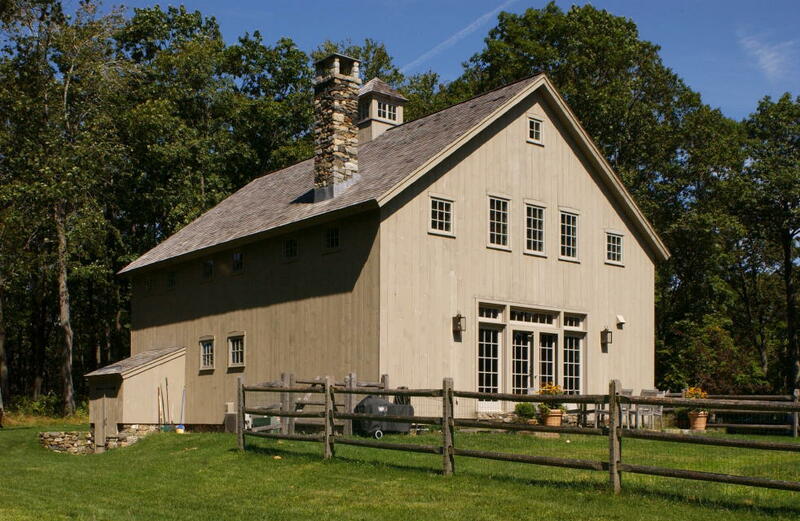 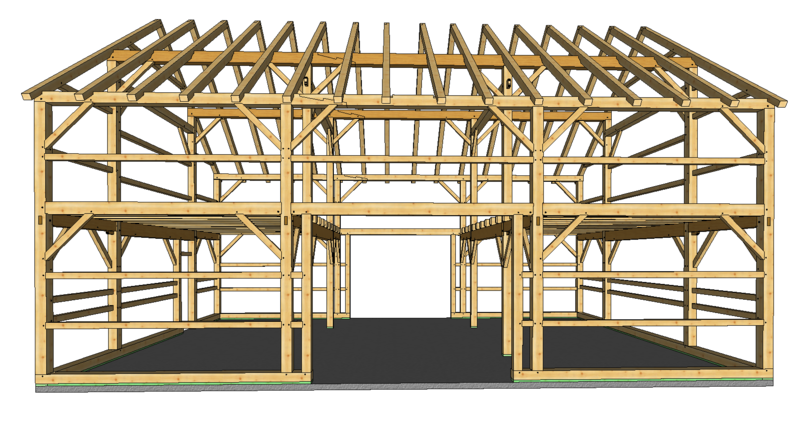 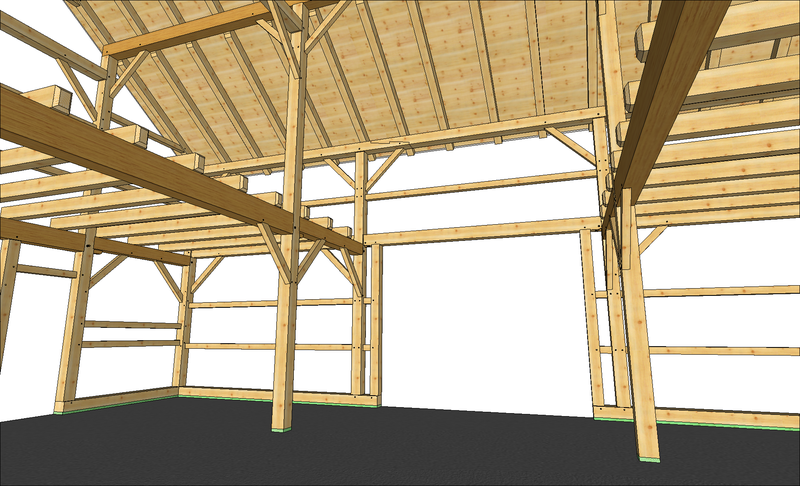 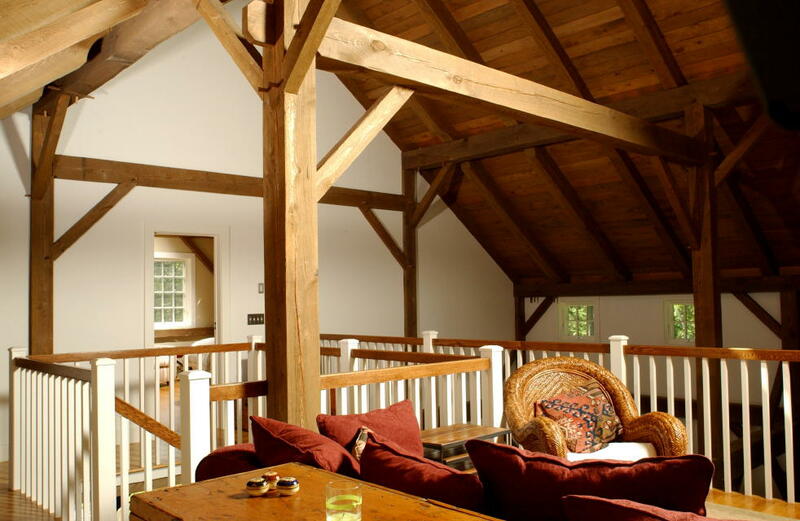 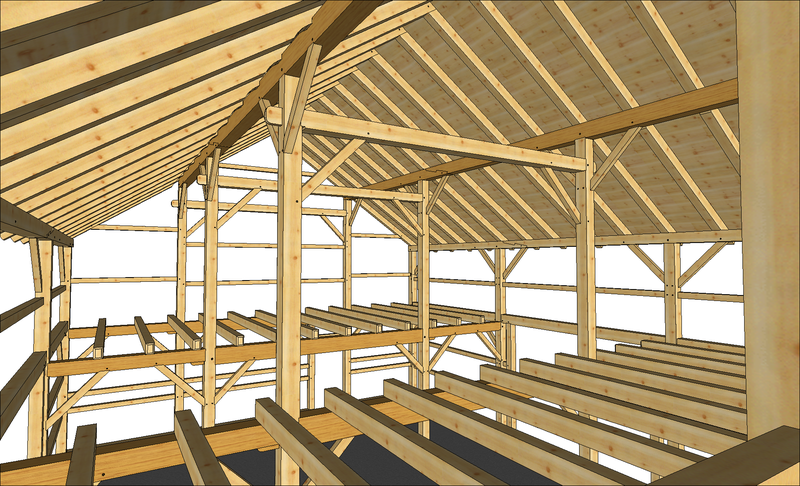 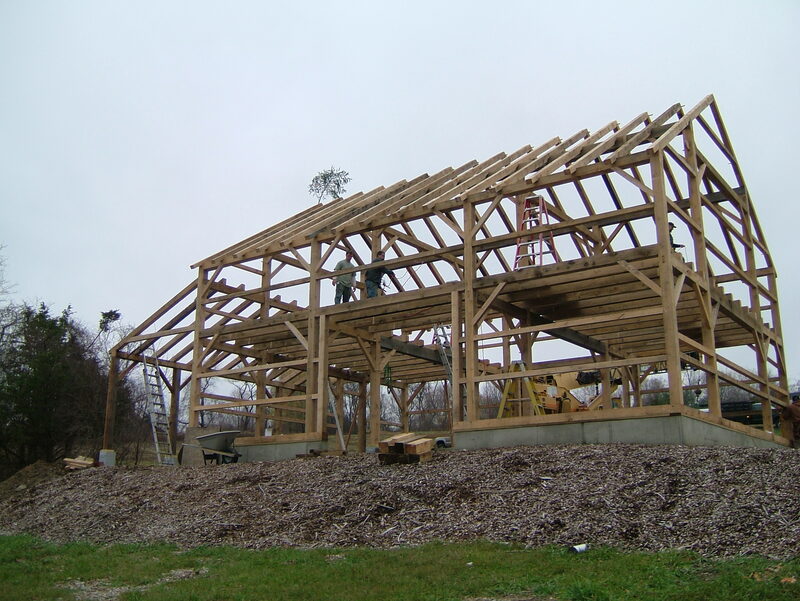 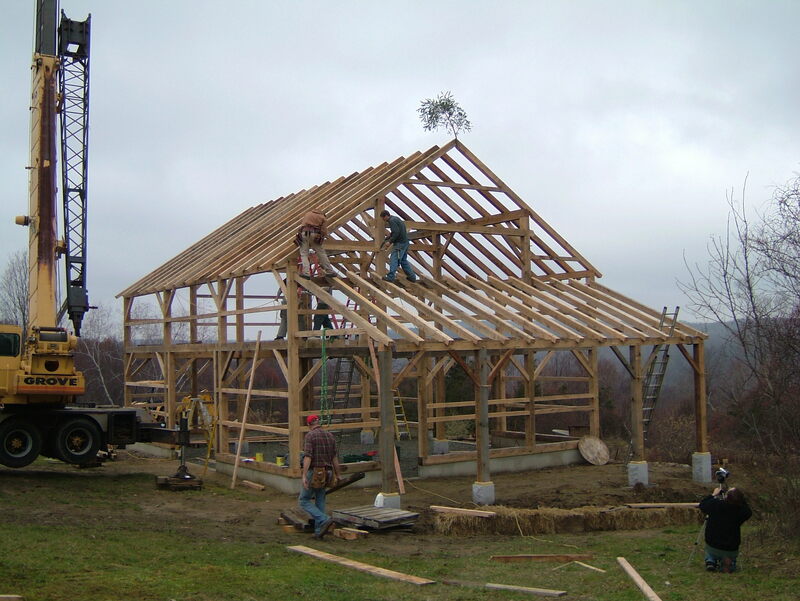 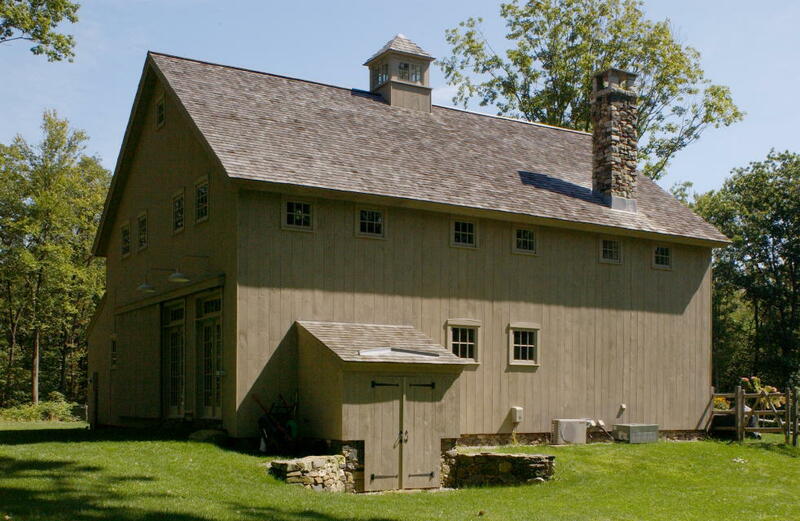 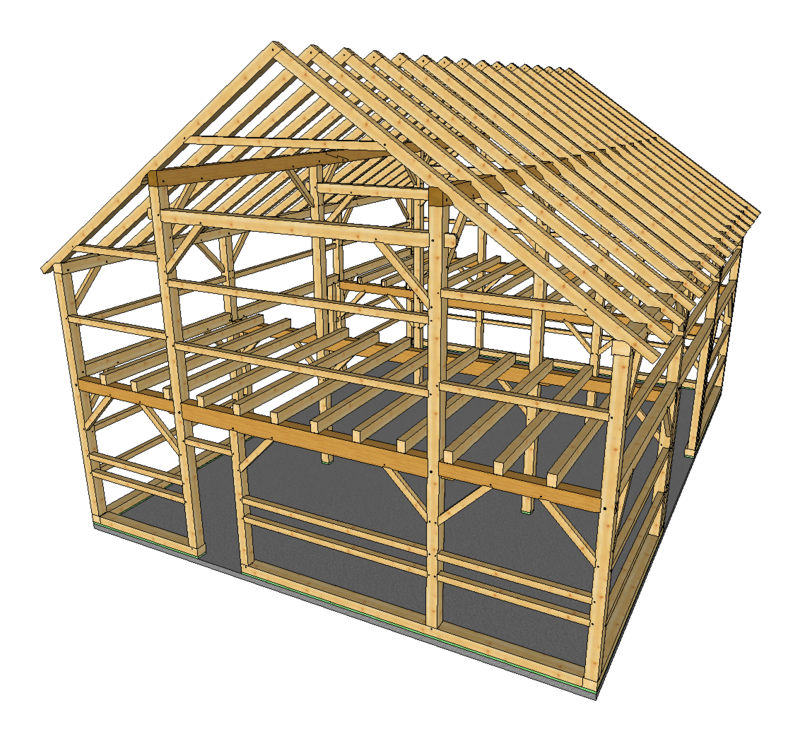 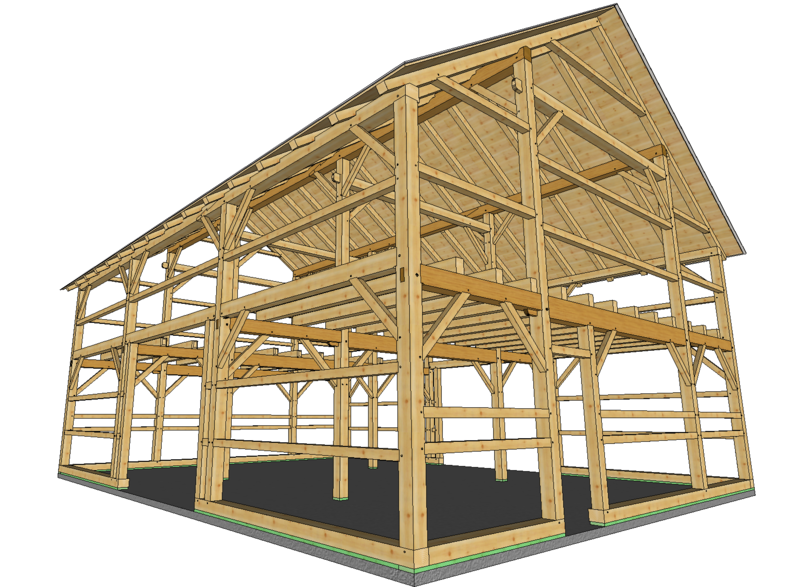 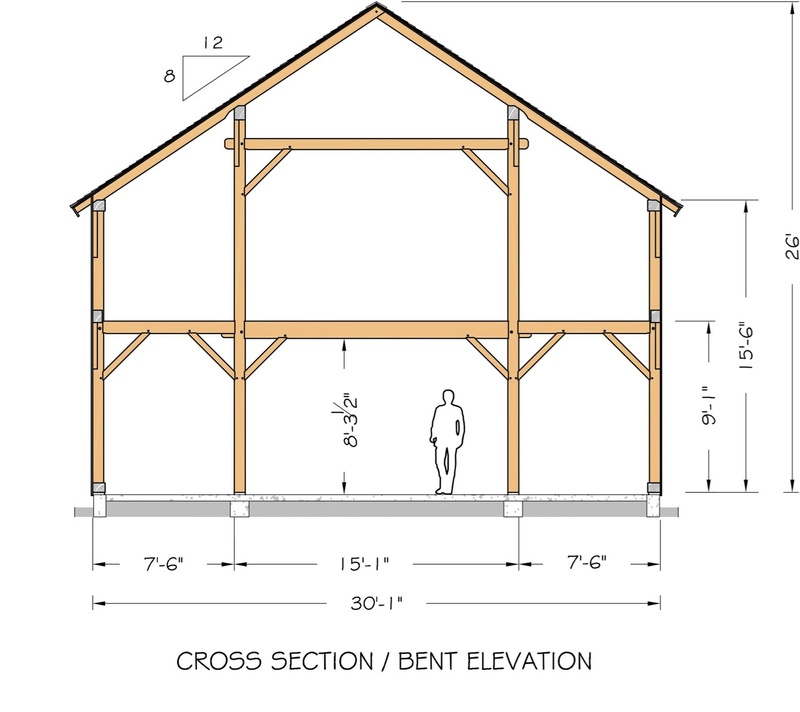 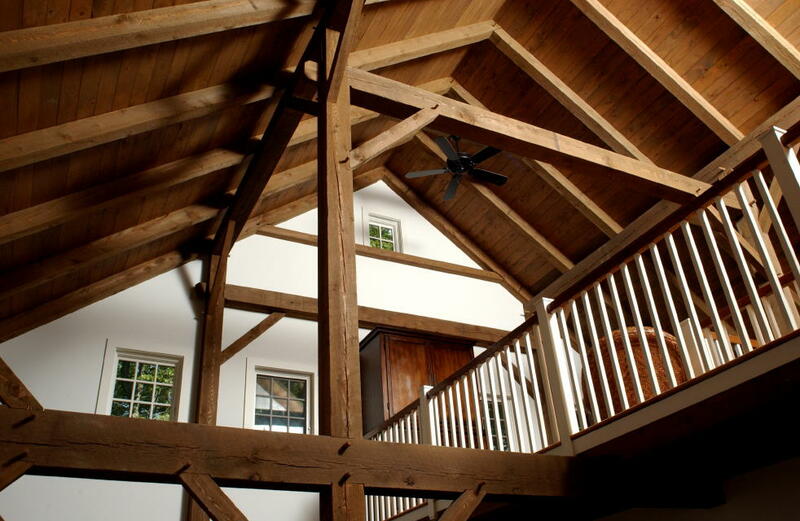 The Purlin Post Barn is more than adequate in size to customize as a beautiful barn-style home.